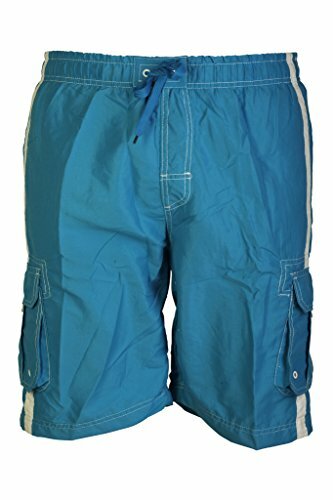 ★ SUPER COMFORTABLE FIT; Generous 20 inch inseam together with full mesh liner for the most comfortable men’s swim trunks on the market! ★ ULTRA STRONG DUAL STITCHING SWIM SUIT; white dual stitched detailing, for strong long lasting wear that won’t fray or loosen, even after repeated washing and swimming! ★ FASHIONABLE DUAL SPORTING STRIPES; Forget boring colors, the swim shorts have dual side sporting stripes to add a modern twist to the classic trunk design! MENS SWIM TRUNK: FANTASTIC FUN IN THE SUN! Whether sporting outside or lounging by the pool, the best clothes help you feel great! Are you looking for that perfect pair of swimming trunks either to stand out from the crowd, update your wardrobe, or for the perfect gift? Frelik have the perfect pair! 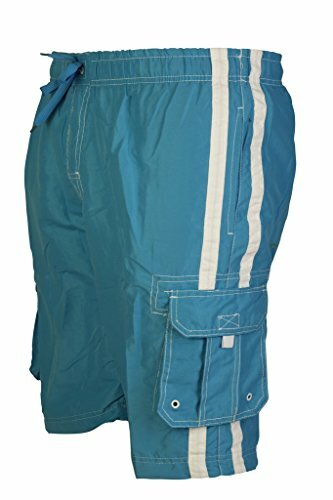 Based on the latest men’s style, Better Wear have created a super stylish, functional and comfortable pair of men’s swimming trunks! 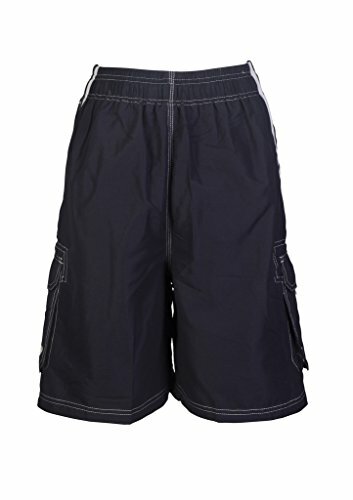 With 100% hard wearing polyester material, a comfortable 20 inch inseam and mesh liner, the Trunks are perfect for sport, lounging or comfortable pool wear. Blending style with fashion, the Trunks have super strong, white double stitched detailing together with dual side stripes and a tough drawstring closure for the perfect fit, even when wet! Do you find yourself needing somewhere secure to hold keys when swimming? The Trunks have an ultra secure side cargo pocket with flap, for you to easily and securely carry small items! Whether playing sport or by the pool, have peace of mind your valuables are secure and close by! • Tough drawstring closure for a secure, tight fit when wet. • Stylish dual white sporting stripes match any summer outfit. • Strong dual stitched white detailing for long lasting wear that won’t easily fray. • Roomy, secure cargo pocket with flap to keep small valuables at hand. • 20 inch inseam with full mesh liner for comfort. Satisfaction guaranteed! Click “Add to Cart” and prepare for summer today! 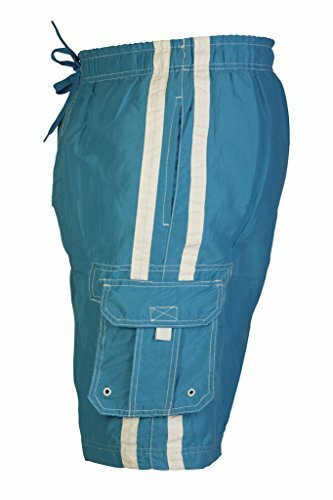 ★ EXTRA STRONG DRAWSTRING CLOSURE; Strong waist drawstring closure for a super secure fit to a range of sizes, ensuring the swim suit won’t slip and slide when wet! ★ CONVENIENT CARGO POCKET; Never again misplace keys or cards with the secure side cargo pocket with flap! Great value, click the orange button to order now!